Qualcomm is slowly building content for its Flo TV mobile service for cell phones with the recent announcement that Discovery Communications launched a Shark Week Mobile Channel. Discovery Channel’s Shark Week programs are scheduled to air on the Flo TV service through Aug. 14. Flo TV uses the analog spectrum previously occupied by television broadcasters, and offers programming from several of the large network brands. Flo TV President Bill Stone says he envisions expanding the service from cell phones to cars and other consumer electronics products. Flo TV, however, is not the only mobile TV service. AT&T CruiseCast launched a satellite-based television service in cars June 1. CruiseCast, which is really an AT&T logo slapped onto RaySat Broadcasting equipment and services, offers 22 TV channels and 20 satellite radio channels. Its satellite antenna is a fat disc the size of a Bundt cake affixed to the roof of a vehicle. The service costs $28 a month, plus $1,300 for equipment, which requires certified installers who charge an additional $200-$300, says Jim Llewellyn, who demonstrated the service July 31 in San Diego. 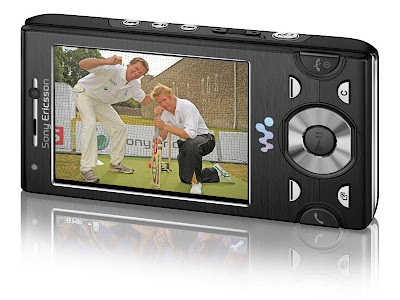 If you feell you're missing out on The Ashes action, you can now watch the Ashes for free on your W995. A 3-month pass for the Sky Mobile TV service now comes bundled with the device exclusively on the 3 Network. With the service, you can watch eight made-for-mobile channels that use highlights content from the Sky Sports 1, 2, 3 and Xtra channels. You’ll also be able to watch live matches right on your W995 too. After the initial 3-month period, Sky Mobile TV will cost you £5 a month. So, while the savings aren’t amazing, amounting to a whopping £15 in total, it’s still a great feature to have right now if you’re a cricket fan. Testing of free mobile digital TV for cell phones, netbooks and other on-the-go devices is ramping up in the weeks ahead, and the first devices that can provide such broadcasts should be on store shelves by next year, according to the broadcaster-based group behind the effort. "Just like you turn on your TV today at home and watch live and local broadcast television, you will turn on your handset and be able to watch live and local broadcast television," said Anne Schelle, executive director of the Open Mobile Video Coalition. Trials are underway around the country in cities such as Chicago, New York and Raleigh, N.C. The biggest test pond will be Washington, D.C., where broadcasters have the attention of what may be the nation's most powerful audience — politicians. "We already have two stations on the air there, and we'll have the rest of our stations on air by next week," said Schelle. 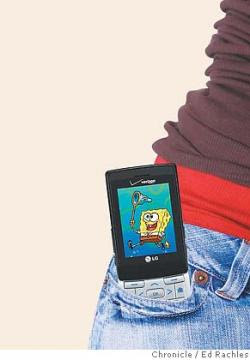 Cell phones are probably the largest single group of devices that could receive local TV programming. "There are 250 million of them out there," said Schelle. It's not clear whether wireless carriers are as enthusiastic. MobileCrunch has picked up an interesting story from AV Watch - who themselves have spotted a USB tuner that plugs in to your TV, and then streams out 1-Seg (that’s a Japanese TV standard) formatted TV that your iPhone/iPod Touch can pick up via an App running over WiFi. Nice. The iPhone has been at somewhat of a disadvantage for a time, because unlike a lot of other phones in Japan, it can’t natively pick up a TV signal - Japan is one of the places where Mobile TV has worked (but there are a number of specific reasons for that…. ), so this little bit of kit solves an issue for people who need their TV fix. The USB device is called the SEG Clip, and is sold by I-O data it follows a previous device that was more of a standalone unit from Softbank Mobile - that one was it’s own receiver, transmitted the data by WiFi, but also double as an extra battery if you plugged it in to an iPhone. 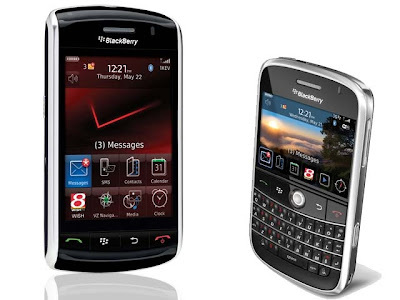 WISH-TV today announced the expansion of its mobile offerings to include a new application for BlackBerry smartphones. This mobile application is the latest addition to 24-Hour News 8’s fully synchronized television and digital offerings that are available free of charge at www.wishtv.com . WISH-TV unveiled its iPhone custom application with great popularity and much success in May 2009. In addition to these specialized applications, 24-Hour News 8 is also available via any web-enabled mobile device. LIN TV , WISH-TV’s parent company, in conjunction with News Over Wireless (NOW) has developed the custom BlackBerry smartphone and iPhone applications for each of its 27 local television stations. Six LIN TV stations, including WISH-TV, launch the BlackBerry smartphone service today. LIN TV is the first in its local markets to provide instantaneous and on-demand access to its local news, sports and entertainment, as well as video, weather forecasts and traffic reports to BlackBerry smartphone subscribers. Six LIN TV stations launched the BlackBerry service last week, including WISH-TV, WAVY-TV, KRQE-TV, WANE-TV, WALA-TV and KXAN-TV. LIN has been among the more aggressive broadcasters in the deployment of its content over nontraditional platforms. Media Content and Communications Services (MCCS) has made its Hindi, Marathi and Bengali news channels -- STAR News, STAR Majha and STAR Ananda -- available on the mobile TV platform. The content of all three channels will be streamed live, including the ads that appear during the news programmes. The content will be available on the 3G networks of MTNL and BSNL. However, the company claims that their mobile TV option will also be made accessible to subscribers of other telecom operators, who offer 2.5G services. Currently, only two mobile operators -- BSNL and MTNL -- offer 3G services in India. The video content delivery process is faster on 3G mobile networks, as compared to 2.5G. Hello Mr. Blogger, I fully agree what you have written at this blog. Most of television viewers in US have made a smart decision to switch over to satellite TV connection. Ever since then, most of them have been improving their complete in-house set up. According to survey carried out most of the house owners were ashamed of their home entertainment system. They opined that satellite TV was a better option with better quality sound and picture. 3G or 4G: What should India do? 4 Billion GSM-HSPA connections soon. 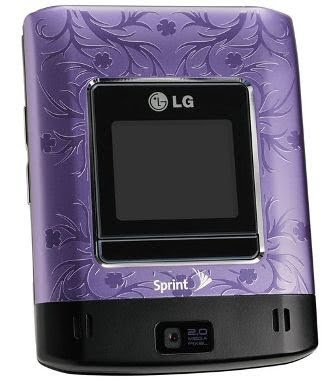 What is going to be 5G ?